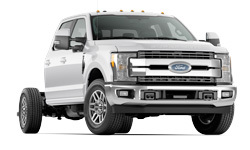 The 2018 Ford Chassis Cab from Pompano Ford in Pompano Beach, FL, serving Fort Lauderdale and Deerfield Beach, is a super-duty truck that shows business who's boss. 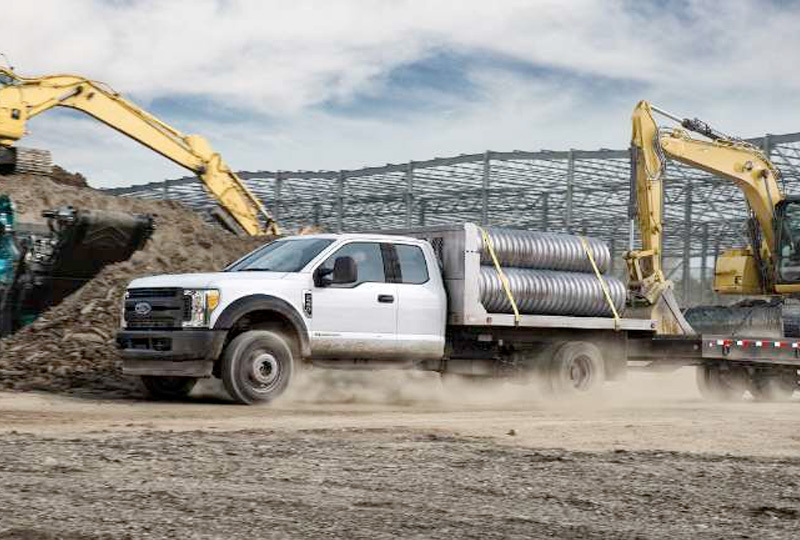 Conquering the work yard and hauling with confidence come naturally to the 2018 Ford Chassis Cab. This monster truck offers a capable 6.2L flex-fuel V8 engine that has 430 lb.-ft. of torque. The TorqShift 6-speed automatic transmission includes a unique tow/haul mode for maximum control on the job. Convenient split-folding front and rear seats provide plenty of room for people or belongings inside the cabin. You can stick to the standard cloth seats for a cushy interior, or get the available vinyl upholstery for more durability. There are plenty of optional technology features to help you enjoy the ride, including SiriusXM Radio and a basic SYNC® infotainment system. End your day with the perfect parking job, thanks to the available rearview monitor that turns on in reverse. 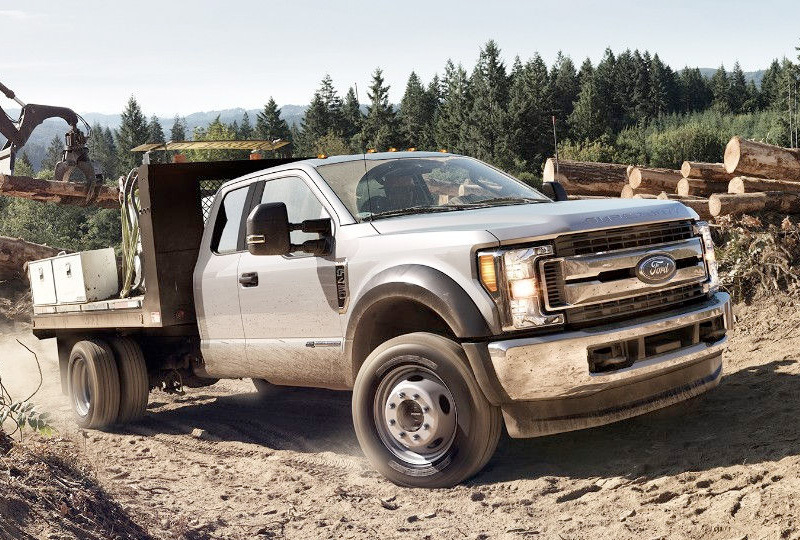 When the job calls for towing huge loads, the Super Duty® Chassis Cab lets you do just that ‐ and better than any other vehicle in its class ‐ thanks to the heavier and stronger frame, components and driveline of today's Super Duty generation. *When properly configured. 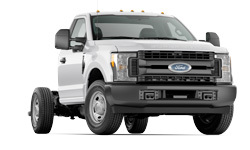 Class is 3-5 Conventional Chassis Cabs based on Ford segmentation. 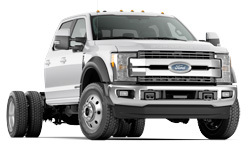 F-550 SuperCab diesel shown can tow 31,500 lbs. Torque rules in big work trucks pulling big loads. 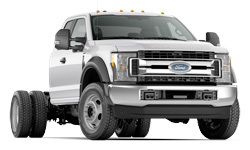 And no other gas-powered Class 3-5 chassis cab* delivers as much torque (430 lb.-ft.) as the Super Duty® 6.2L V8, standard in the F-350. 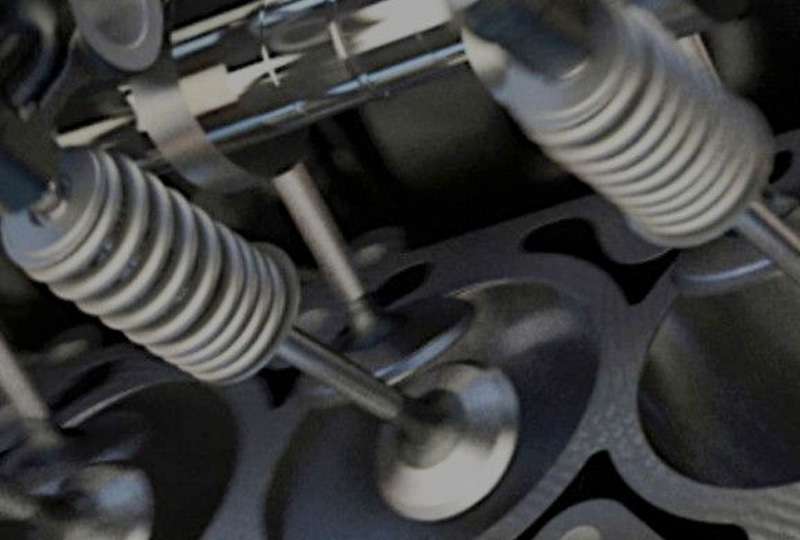 The 6.2L has tuning and camshaft configurations designed to increase peak torque at lower rpm. The optional Live-Drive power takeoff (PTO) provision with Mobile Mode is available with the 6.2L engine. Six standard factory-installed auxiliary upfitter switches include two 40-amp switches (ignition on or off) plus four 25-amp switches (ignition on). What's more, the switches with fuses and associated relays are integrated into the new overhead console/storage compartment. 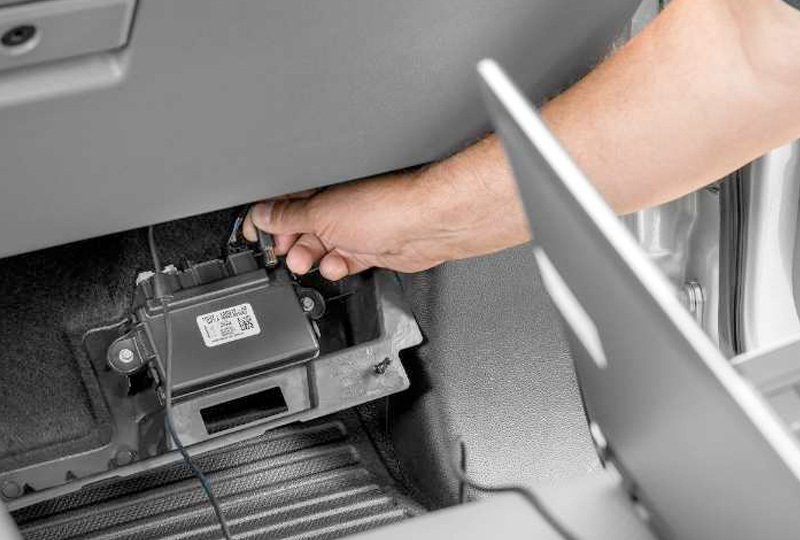 Upfitter switches are a convenient way to connect a variety of aftermarket accessories (such as a winch, lights, strobes, two-way radio) to the vehicle's electrical system. Because they're factory-installed, there's no need to cut into the truck's electrical system when installing accessories. Convenient, easy to use and reliable.